Manufacturer: Samara Brothers Inc., of Edison, N.J. Hazard: The zipper pull on the cover-up can detach, posing a choking hazard to young children. Incidents/Injuries: Samara Brothers has received one report of a zipper-pull coming off. No injuries have been reported. 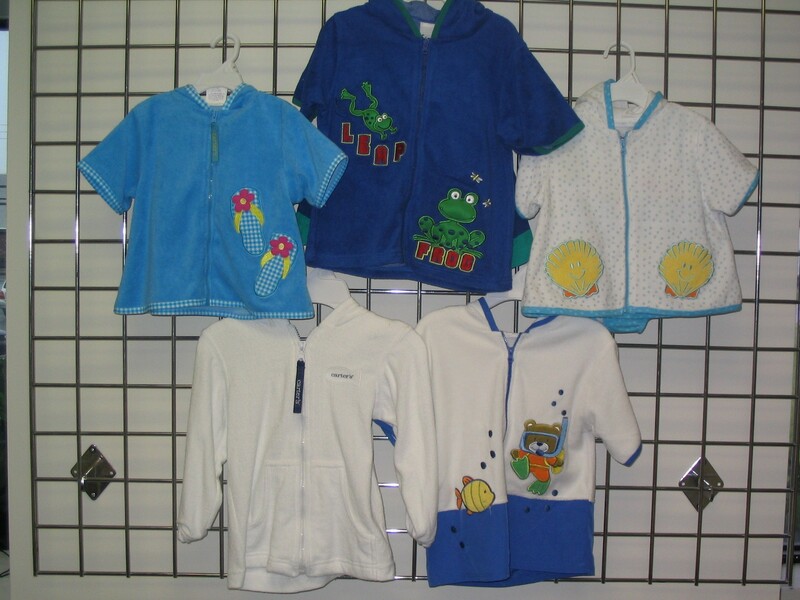 Description: The recalled cover-ups were sold in various colors for boys and girls. Cover-ups were sold separately or as part of a swimsuit set. The cover-ups were sold under the brand names “Samara” and “Carter’s,” in sizes ranging from 3 to 24 months, 2T to 4T and 4X to 6X. On the short-sleeved cover-up are various patches depicting beach and swim-related themes. The name “Samara” or “Carter’s” is printed on the garment-care tag, along with the size. Sold at: Department stores and specialty shops nationwide from January 2004 through April 2004 for between $10 and $20. Remedy: Consumers should stop using these cover-ups and contact Samara Brothers for instructions on receiving a free repair or replacement cover-up.